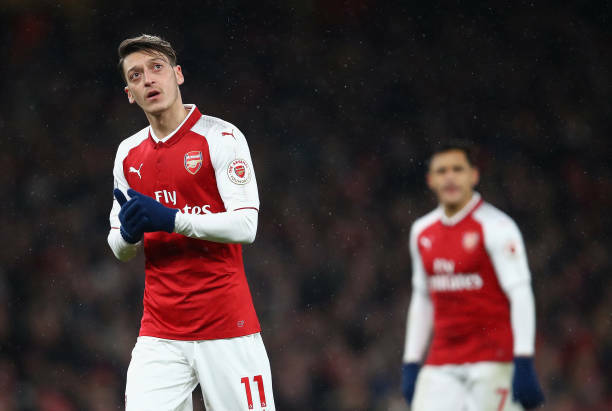 Arsenal legend Ian Wright has questioned head coach Unai Emry for failing to make much use of Mesut Ozil in 2019. Ozil has made just two appearances this year, starting only once in the 1-0 victory over Cardiff City. The playmaker of Turkish origin was an unused substitute in the 3-1 defeat against Manchester City on Sunday. Wright made it clear that Emery has to start making use of Ozil and that he definitely would not sell him as he is ‘one of the best players’ Arsenal have on their books. “What’s going to happen to Ozil? We’re looking at somebody who can’t get into games for tactical reasons and for some other instances. City, he didn’t even get on the pitch,” Wright told BBC Radio 5Live. Asked if he would be inclined to sell the former Germany international, Wright said that Unai Emery should find a way to incorporate the playmaker, insisting that he is ‘one of the best players’ at the club. “It’s not a question if I would sell him. Of course I wouldn’t sell him! “Especially now we need the creativity. Arsenal need somebody to create something. Play him. Ozil has struggled for playing time in 2019, partly due to back and knee injuries but Emery has not given him regular playing time when fit either. The playmaker of Turkish origin is the highest paid player in the Arsenal side earning £350,000-a-week. Arsenal face Huddersfield away next on Saturday, Ozil is match fit for the clash. The 30-year-old has four goals and two assists in 18 appearances for the Gunners in all competitions this season.